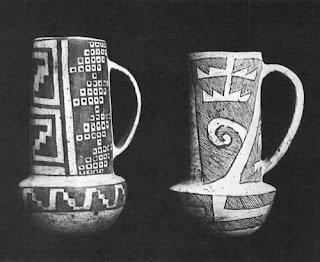 Via Western Digs, more study of Anasazi pottery residue shows that people — at least some people — were not only drinking cocoa, but also the "black drink" associated with the Midwestern and Southern tribes. 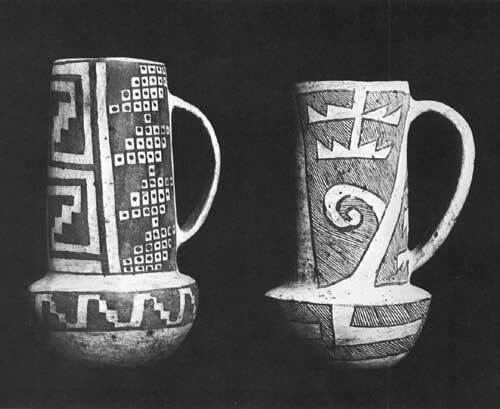 The latter has caffeine, the essential ingredient for civilization — like at Cahokia. Moreover, making both cocoa and ‘black drink’ required plants that grew in far-off climates, researchers say, indicating that the Southwest was part of an ancient ‘caffeine trade network’ that extended from the foothills of the Rockies to the heart of Mexico. “There are no known plants in the Southwest or Northwestern Mexico that have caffeine,” said Dr. Patricia Crown, an anthropologist at the University of New Mexico who led the study. Kakawa in Santa Fe serves various cacao-and-chile drinks. How long until they add Yaupon holly-based "black drink?" Just don't use the botanical name, Ilex vomitoria. I still think that the ancient Pueblo cuisine was pretty grim. How do you want your corn today, fresh mush or refried mush? "Leaf Spot" Threatens Fall Aspen-Viewing, Oh No!